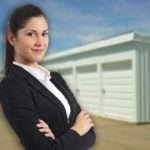 There could be any number of reasons you’re ready to sell your self storage property. No matter why you’re considering selling, we are sure that you want top dollar for your facility at the closing table. So how do you get what you deserve for your property? In the past you’ve only raised rates on tenants when you increased your vacant unit pricing, or maybe you’ve never raised them at all – now is the time to reconsider that strategy. Implementing rate increases in a scheduled manner can significantly improve your bottom line. Increasing tenant rates $5 on 300 units would result in an $18,000 annual revenue gain. Then when you apply an 8% Cap Rate to that gain, it gives you a $225,000 value increase. All self storage owners have past due renters but some operators are far too lenient on tenants who are severely past due. Not only are delinquent renters causing you a headache, but they’re also taking up valuable space that you could be renting to someone else who will pay. Normally you might pass their over-locked unit, sigh, and mentally write off the $120. At an 8% Cap Rate, each month that unit is delinquent you lose $1,500 in value! How many more months do you want to lose rent on that unit hoping the tenant will pay up? Unless this is a selling point for your tenants, why would you allow them to eat into your profits by filling your dumpster? Either put a lock on your dumpster or switch to a municipal waste collection program that collects only your manager’s office waste. Do you have more than one employee running your property? Are there ways that you can implement technology to help reduce onsite staffing needs? The self storage industry offers many solutions to reduce onsite staffing hours such as call centers, online rental programs and self storage specific kiosks that reduce the need for your renters to meet with an onsite employee. Identify the necessary utilities to run your facility. Eliminate cable television and excessive phone plans. Call your current providers and ask for lower rates, current specials, or services that will get the job done at a lower cost. For example, cutting your internet bill by $50 a month is an annual savings of $600. Apply an 8% Cap Rate and you’ve just added another $7,500 of value to your property. Consider separating your personal and business expenses, including your current cell phone plan. Discuss the various topics with your accountant as you review your P&L report with them. All of your landscaping and grass should be trimmed, neat and clean. Cut or remove any over-sized plants, especially any blocking visibility from the road along your property, and add fresh annuals to your flower beds. First and foremost, your signage should be visible from the road along your property. If your signage is a little worn, now’s a good time to consider replacing or upgrading it. Additionally, it should be well-lit, ordinance permitting. A dilapidated-looking facility sends a red flag up to most buyers, and when they see minor aesthetic issues neglected, they’ll immediately wonder if more serious maintenance has been put off (such as leaky roofs or faulty HVAC systems). Since this is the hub of your facility, you’ll want this to be presentable to potential buyers. They’ll want the office to be freshly painted, free of clutter, well-lit and clean! Retail sales inventory should be dusted and organized. The office bathroom should be thoroughly cleaned and fresh-smelling. Taking steps to improve your property directly effects the selling price. Buyers will be attracted to the pride you take in your facility. It is a positive first impression that will start a conversation with your broker and may lead to a handsome offer. Whether you are a few years away from selling or ready to sell tomorrow, use this checklist to boost the value of your property in a cost-effective manner. 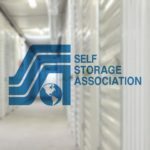 Contact us for more information on listing your self storage property and learn how we can help you get the highest price on your investment.